Bán ổ cứng gắn ngoài 2TB Western My Passport Ultra xách tay. Giá bán Box My Passport Ultra 2TB 2.49 triệu. Bảo hành 2 năm. 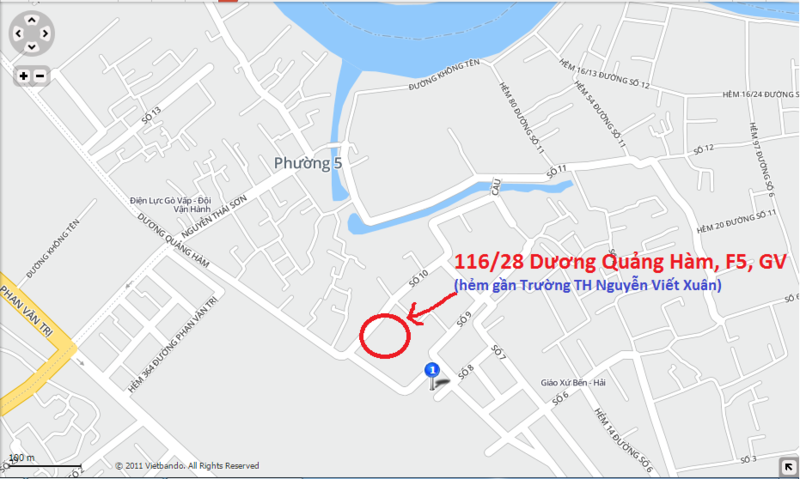 Check series trên trang chủ của Western được. Ổ cứng di động 2TB giá rẻ giá bao nhiêu? banlaptopxachtay.com đang có bán ổ cứng gắn ngoài WD My Passport Ultra 2TB giá 2.49 triệu. Bảo hành 2 năm. Địa chỉ cửa hàng bán ổ di động WD My Passport Ultra 2TB tại HCM? Ổ cứng gắn ngoài WD Ultra chuẩn 2.5 inch - sata 3 tốc độ ghi chép - sử dụng qua cổng USB 3.0 và USB 2.0. The 7th generation My Passport Ultra is a USB 3.0 external HDD designed for ultimate portability with the ability to back up user data automatically and to the Cloud. 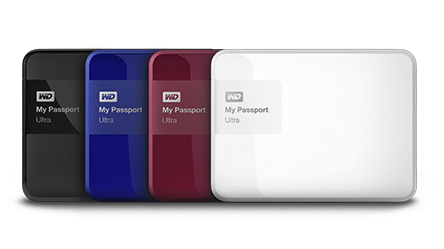 The My Passport Ultra is a tried and true technology that WD has been selling for some time. The latest version comes with a maximum capacity of 3TB, comes in a variety of colors, and comes with a Grip pack of soft band accessories that encircle the device. WD is also selling a version that is specifically formatted for Mac users, WD My Passport for Mac. Though it really doesn’t add anything new to the market, the Ultra is certainly a proven device, as it adds plenty of value to consumers with its speed and included software. The My Passport Ultra features some pretty handy local and cloud backup software with WD Backup, allowing users to choose when, where, and how to back up their files. The ability to simply select a schedule and file folder makes this process quick and easy. In addition, users can use the Dropbox compatibility if they want to save to the Cloud. In addition, the WD Security utility with password protection and its 256-bit AES hardware encryption also adds to the security of the backed up content. Available in Classic Black, Brilliant White, Wild Berry and Noble Blue, the 7th gen My Passport Ultra is comprised of a new sleek design. The front of the device has a glossy finish with the WD logo and product name located at the top left. In addition, the small portable drive measures just half an inch thin for the 500GB model. WD has certainly built the My Passport Ultra the drive as a rugged device, as it is designed for durability, shock tolerance, and long-term reliability. The USB 3.0 connector is located on the side of the drive while the small product label and information printed onto the plastic are located on the rear. To determine its performance, we measured transfer speeds from the My Passport Ultra connected to an HP Z620 workstation and compared it to the previous generation model, Seagate Plus Slim, and Seagate Seven USB 3.0 portable drives. When looking at its 2MB sequential speeds, the My Passport Ultra posted read and write speeds of and 109.1MB/s and 108.8MB/s, respectively while its predecessor had 100.69MB/s for sequential read and for 101.49MB/s sequential write. The Seagate Seven posted 114.90MB/s read and 113.78MB/s write while the Seagate Plus Slim recorded 88.6MB/s read and 119.3MB/s write respectively. When testing 2MB random transfer speeds, the My Passport Ultra boasted 73.9MB/s read and 73.3MB/s write with its predecessor scored 72.0MB/s for reads and 74.0MB/s for writes. As you can see, the newest generation maintained performance parity with the prior model. The Seagate Seven posted 73.03MB/s read and 62.4MB/s write, while the Seagate Backup Plus Slim measured read and write speeds at 58.7MB/s and 95.6MB/s, respectively. 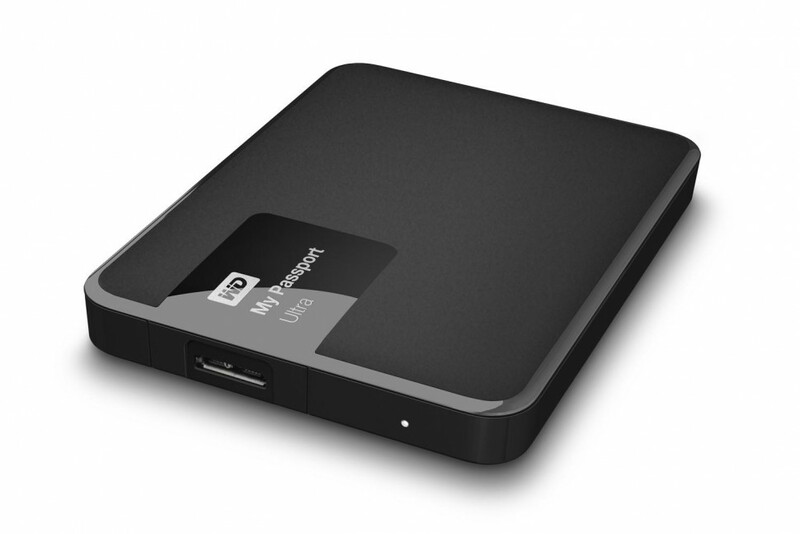 Like all WD devices, the My Passport Ultra is very easy to get up and running; simply plug the device into a USB 3.0 connection and download the WD Utilities, WD Backup and WD Security software from the company website. Users also have the option of running the setup client, which comes pre-loaded on their drive. Here, they can choose whether they want to simply install one program, or to install all of the bundled software. The whole process was seamless. With WD Drive Utilities, users can run diagnostics to determine any issues that may be happening with the drive. The Run Drive Status Check option checks for potential drive failures while the Quick Drive and Complete Drive Tests checks for major performance issues and performs a full media scan to detect bad sectors, respectively. The Sleep Timer option allows users to set when they want the drive (if at all) to go into sleep mode while the Ultra is not in use. This helps to conserve power and minimize long-term wear on the WD external drive. The Drive Erase feature simply allows users to erase all content on the drive with one click while giving the newly formatted volume a name. It should be noted that erasing the drive also removes any passwords you may have set up. If you used a password to protect. If this is the case, users need to re-create it. The About section displays basic information about the software as well as the ability to check for updates and register the drive. WD Security allows users to simply set a password to block users from accessing their WD Passport Ultra. Though there is no way to access data without the password after it”s set, you can recover the password if it is forgotten using a security question. In addition, users can set it to auto unlock for a specified user account. As such, when the locked drive is connected to a computer, a popup with a window will ask for the password in order to continue and access the drive. If this doesn’t happen, users can easily open the Virtual CD for the drive and double-click on the Unlock.exe to manually get this prompt. This is a pretty handy backup measure. The 7th generation WD My Passport Ultra is the company’s newest USB 3.0 portable storage device, providing users with seamless and simple local and cloud backups (e.g. DropBox) using WD Backup. As was the case with all WD products, we found the bundled software to be very user-friendly all the while having an advanced feature-set. For example, users can customize automatic backups to occur whenever they require, from an hourly schedule for frequent backups, to a less frequent system with monthly backups. The My Passport Ultra also protects this content with the WD Security utility and 256-bit AES hardware encryption, the latter which offers users the option to enable password protection on files and folders. The My Passport Ultra comes in models as high as 3TB in storage, which is a 50% increase in maximum capacity from its predecessor. As far as performance goes, the 7th generation My Passport Ultra offered some pretty good numbers, with 109.1MB/s read and 108.8MB/s write for large-block sequential activity and 73.9MB/s read and 73.3MB/s write for random. Although these numbers compete well enough with the best drives of its class and type, we only saw a slight improvement compared to the previous generation in sequential performance, while even having marginally weaker performance in random writes. Like its predecessor, the WD My Passport Ultra is released in a market full of capable portable storage devices, which is often overwhelming for casual consumers and workers on the go looking for an external storage solution. As a result, they often buy the first one they see at a reasonable price. Consumers should note that WD is unique due to its bundled backup software, which has been developed in house as well as being specifically designed for WD devices such as this one. Couple this with its good performance, the seventh generation of the My Passport Ultra makes for a compelling release among a saturated market. The WD My Passport Ultra offers consumers an easy way to back up their data with feature-rich software and very good performance in a trusted platform.